History and Overview: The Ohio State University first opened its doors to students on September 17, 1873. In 1892, OSU produced its first African American graduate. 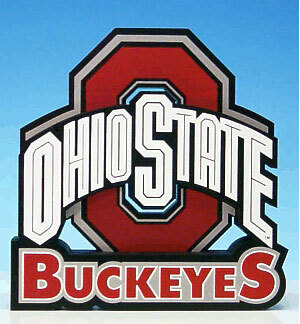 In 1873 OSU, known at the time as the Ohio Agricultural and Mechanical College, boasted 24 students. In the fall of 2006 the University enrolled 51,818 undergraduate, graduate, and professional students at its Columbus campus. Of those 3,495 — or 6.7% — were African American. 1884 — Abolitionist, writer, and activist Peter H. Clark becomes OSU’s first African American trustee. 1892 — Sherman Handlin becomes the first African American to graduate from Ohio State University (B.A., Liberal Arts). 1893 — William Frederick Ebert becomes the first African American to graduate from Starling Loving Medical College, the predecessor to the OSU School of Medicine. 1905 — Jessie Frances Stevens becomes the first African American to graduate from Ohio State University (B.A.). 1908 — Alonzo Jessie Bowling becomes the earliest African American confirmed to have earned a Master’s degree at Ohio State University. 1916 — Clarence Alphonso Lindsay, Rudolph Finley, and Charles Robert Lewis become the first African Americans to graduate from the OSU School of Medicine. 1925 –Aletha Hebron Washington becomes the first African American woman to earn a Master’s degree at OSU (M.A.). 1927 — Dr. Leon Ransom (Phi Beta Kappa) becomes the first African American to graduate from the OSU College of Law. 1928 — Aletha Hebron Washington becomes the first African American to earn a Ph.D. at Ohio State (Ph.D., Education). 1933 — Ruth Ella Moore becomes OSU’s (and the United States’) first African American to earn a Ph.D. and the United States’ first African American to earn a Ph.D. in Bacteriology. 1936 — General Lamar Harrison becomes the first African American male to earn a Ph.D. at Ohio State (Ph.D., Education). 1947 — Clotilde Dent Bowen becomes the first African American woman to graduate from OSU School of Medicine. She would go on to become the first Black female Physician in the U.S. Army and the first Black womanto attain the rank of Colonel. 1949 — Ruth Harrison becomes OSU’s first Black office staff member (Political Science department). 1956 — Emmett Bassett completes his doctorate to become the first African American in the U.S. to earn a Ph.D. in Dairy Technology. 1957 — George David Boston becomes OSU’s first tenured Black faculty member (Anatomy). 1960 — Alivia Bozeman becomes OSU’s first tenured Black female faculty member (Education). 1965 — Clarence William Wright becomes OSU’s first Black student to earn a Ph.D. in Anatomy. 2001 — Oliver McGee becomes the first African American to be named a full professor and department chair at Ohio State’s College of Engineering. 2005 — 29 year-old Gene Smith becomes OSU’s first Black athletic director. 2006 — Valarie Justiss Vance becomes the first African American and the first woman inducted to The Ohio State University College of Social Work Alumni Hall of Fame. 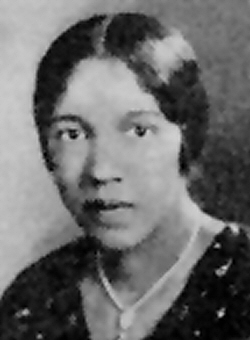 Ruth Ella Moore, OSU’s first Black Ph.D.